Unfortunately I’m still having trouble with my FTP client so I am unable to upload my shows to the the NSB Radio archives. But fear not, I am working on it! Keep an eye on this website for updates! This is my last show of 2013, but I will be back on NSB Radio in the new year! Keep an eye on this website and/or follow me on Twitter for all the updates! Hubie Sounds is back from a brief sojourn into studio refurbishment with a summery extravaganza this Tuesday on NSB Radio! It’s that time of the year again when a large crew of lucky ravers cast off for a nautical adventure with the dashing Captain Shack at the helm for an evening of filthy beats and breaks on board the Elite Force Boat Party! Once again myself and my good friends at Bass[sic] are involved with this weekend’s sold out party, so why not celebrate with an Elite Force Boat Party Special here on Hubie Sounds! To get you all warmed up for a summer evening of bassy business on the high seas (well, on the River Thames anyway) I will be spinning loads of Elite Force-y goodness, including ReVamps and classic tracks, both old and new, plus loads more! 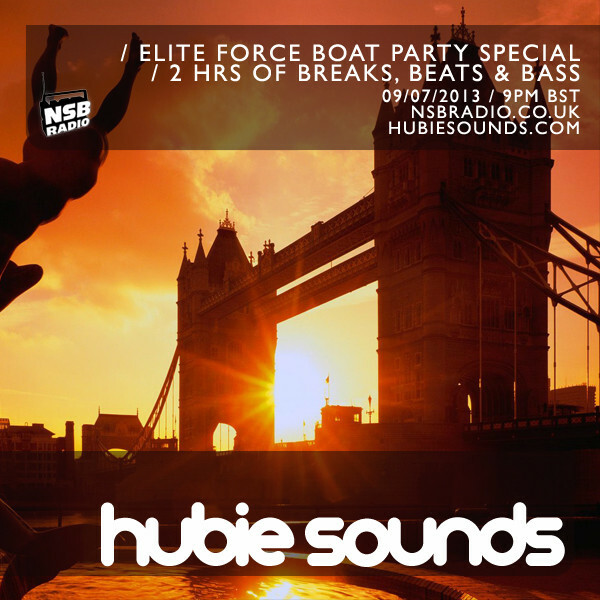 The Hubie Sounds Elite Force Boat Party Special – Tuesday 9th July @ 9pm UK time – live and direct on NSB Radio! Don’t forget to come and say ahoy in the Chatroom! Firstly I’d just like to quickly thank all of you who came down to the Lockside Lounge for the Rockit Science partay on Friday, it was a cracking night full to the brim with happy party people and we were glad to see so many smiling faces. Anyhoo, yes it’s time for another Hubie Sounds show on NSB Radio! This Tuesday night we’ll be celebrating the release of Beardyman‘s excellent debut long player ‘I Done A Album’ by spinning a selection of tracks from the album, as well as the usual mixture of club bangers and funky classics. We hope you can join us, it’s gonna be a cracker! 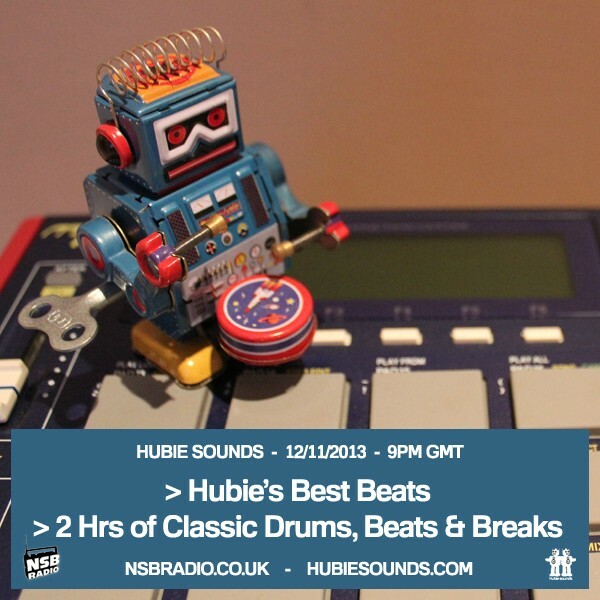 Hubie Sounds – Tuesday 24th May @ 9pm UK time – live and direct on NSB Radio!